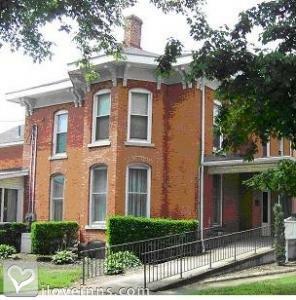 Cleveland bed and breakfast travel guide for romantic, historic and adventure b&b's. Browse through the iLoveInns.com database of Cleveland, Ohio bed and breakfasts and country inns to find detailed listings that include room rates, special deals and area activities. You can click on the 'check rates and availability' button to contact the innkeeper. Cleveland "The mistake by the lake" I think not. Situated on a park in Cleveland's inner harbor is The Rock and Roll Hall of Fame, The Great Lakes Science Center and the Browns Stadium. Walk south down west 6-9th streets through the Warehouse District filled with great restaurants like Blue Point Grille and entertainment, continue along across Public Square and see the War Memorial. On East 4th Street take in the finest dining and entertainment, Michael Symon's LOLA, Hillarities Comedy Club, The House of Blues and The Corner Alley where martini bar meets bowling alley. Only a few steps away stop in for a Cleveland Cavaliers game or catch the Cleveland Indians. While in Cleveland you have to go to the West Side Market in Ohio City, a great neighborhood filled with food and bed and breakfasts. Tremont is also filled with galleries and great food. On the east side of Cleveland University Circle is the home of the Cleveland Museum of Art, the Botanical Gardens, the Natural History Museum, Severance Hall and the Cleveland Orchestra or Little Italy is great with its authentic Italian food, cafes, gelato and galleries. By Stone Gables Bed and Breakfast.